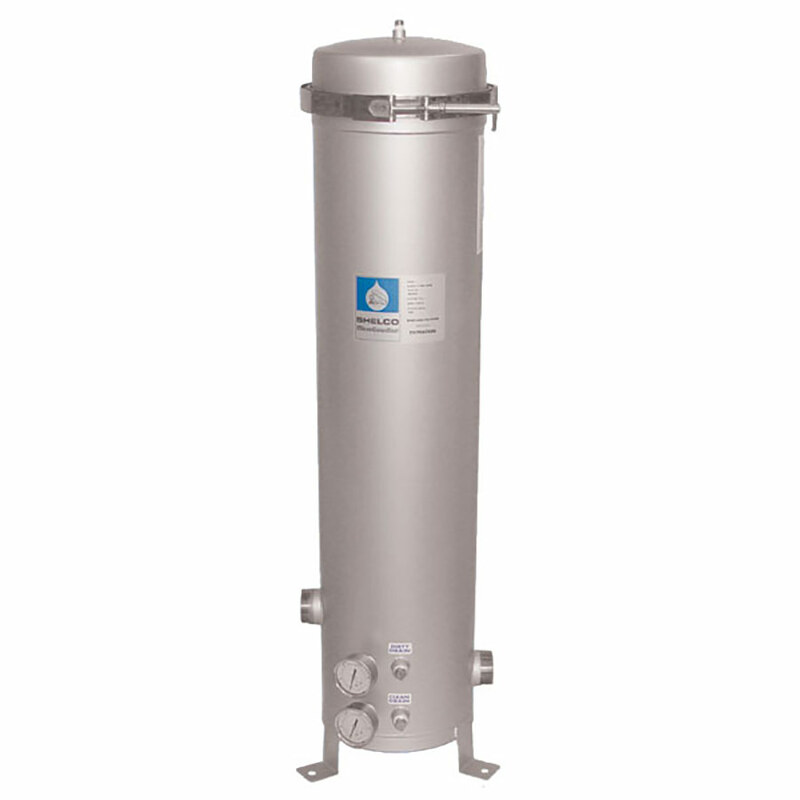 Jumbo cartridge filter housings are designed to accept a single cartridge for easy installation and replacement. Options include 304L or 316L stainless steel; band clamp or swing bolt closures. Design pressure 150 psi (10 bar) @ 300° F (149° C). Standard inlet and outlet connections are 2" MNPT, with pressure gauges body mounted for easy viewing of differential pressure. Standard finish is Poly-coat over stainless. All Jumbo models are standard with mounting legs and grounding lug. Standard gasket is FDA grade Buna-N. Electro-polishing and other options are available by special order.